This is a book I read because the sample made me want to know more about the setting, the characters, and just what the heck was going on. Also, the series title seems a bit unfortunate now. 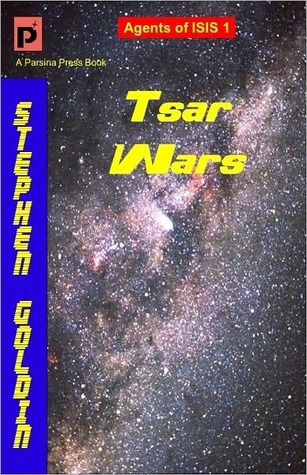 This is space opera with no connection to any real world groups, so nobody judge me or the author just because of it, okay? Welcome to the first great space opera decalogy of the twenty-first century! Agents of ISIS is the 21st century re-envisioning of the Family d’Alembert series by its original author, an epic saga describing the fight to preserve humanity from the forces of chaos and destruction. But the tsar has been in a coma for five years now, and his grand-niece, the only apparent heir, is only 14 years old. In this hour of crisis, the task of preserving the Empire falls to two untrained–but far from unskilled–agents of the Imperial Special Investigation Service. Can they make a difference against the vast forces arrayed against them? What stands out the most to me in this book is the characters. They’re all very distinctive and very entertaining/horrifying/whatever words suits that character the best. They felt real, which is something I personally love in a book. The dialogue also felt natural and appropriate to each characters’ personality. The plot was fairly predictable in some ways, but not enough to be annoying. That they were going to get from A to B was certain; it was clearly that kind of book; but how they got there was frequently a nice surprise. I have a minor complaint: A dictionary of the Yiddish terms would’ve been nice, as Google is letting me down on some. Other than that, this is best space opera I’ve read in ages. An interesting thing about posting this reviews on my blog so very long after I write them is that it gives me time to reflect on the book some. This one my recollections of prove something Larry Hama once said about how people don’t remember plots, they remember characters. Tomorrow it will have been six months since I finished the book. I remember the characters vividly, but only the most exciting and interesting bits of the plot. This is still the best space opera I’ve read in ages, and the sequel is very high up in my 1300+ item “to read” list.